Over the next few months, we will be featuring articles and conversations from our Behind the Dust Visual Series Mediamakers. This is the third in the series. The sounds of people covered up my nervousness as I approached the farmers market where Nelly sells her goods. As an introvert, I am always shy about meeting new people and this time was no exception. My cousin and I spotted her from far away and we sat drinking our milky corn drink, while I thought of ways to approach Nelly. After a few sips I finally gathered enough courage to get up and say hello. Nelly came over with a big smile and asked me why I had taken so long to get there, it was 11 am, the best produce was gone and it was almost time to pack everything up. I liked this familiarity and felt like I was meeting an old friend. She introduced me to three other women who were selling everything from fresh carrots to fermented drinks known for their digestive benefits. At that moment, I was glad I stepped out of my comfort zone. This project has been in the making for years and I’m so grateful I didn’t let my social anxiety get the best of me. 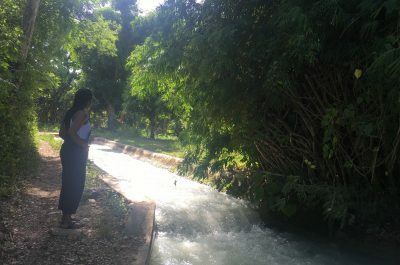 Minutes away from Ayora, the community where Nelly Morocho lives with her family. 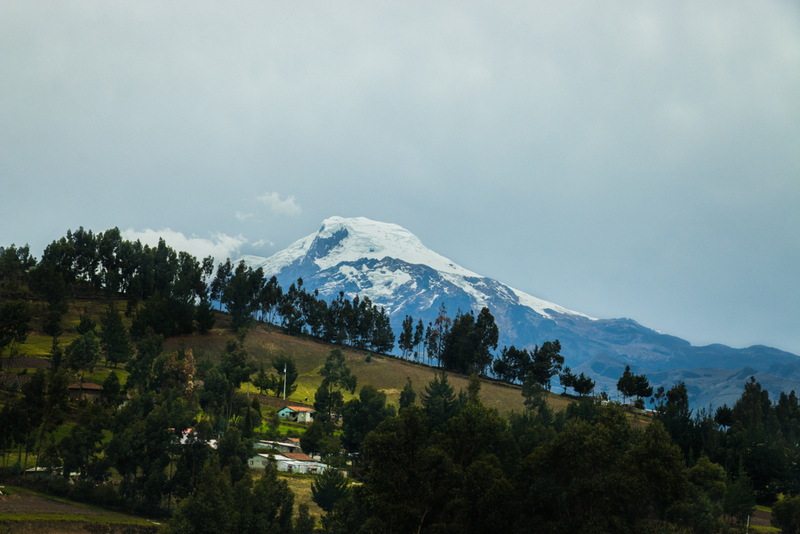 Pictured is the Cayambe Mountain. On the ride to her house, she began narrating her story and how empowered she felt by being connected to her land and helping others make a living out of reclaiming their traditional foods and medicine. At 54, Nelly is one of the most active and socially involved people I have ever met. Aside from being a leader of various women’s organizations in her community she is involved in running the farmers market, and training other women who are interested in learning about organic farming. 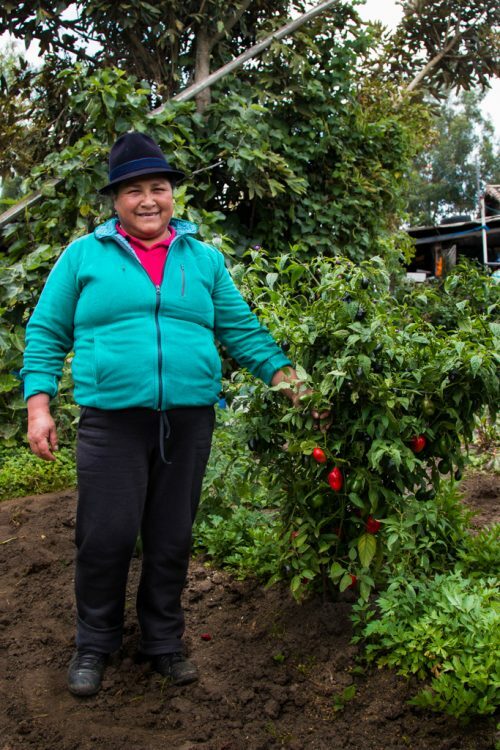 She is also the granddaughter of healers, or Taitas from the Kayambi community of northern Ecuador, and through her work she advocates for the reclamation of traditional foods and medicine as a way of resistance. 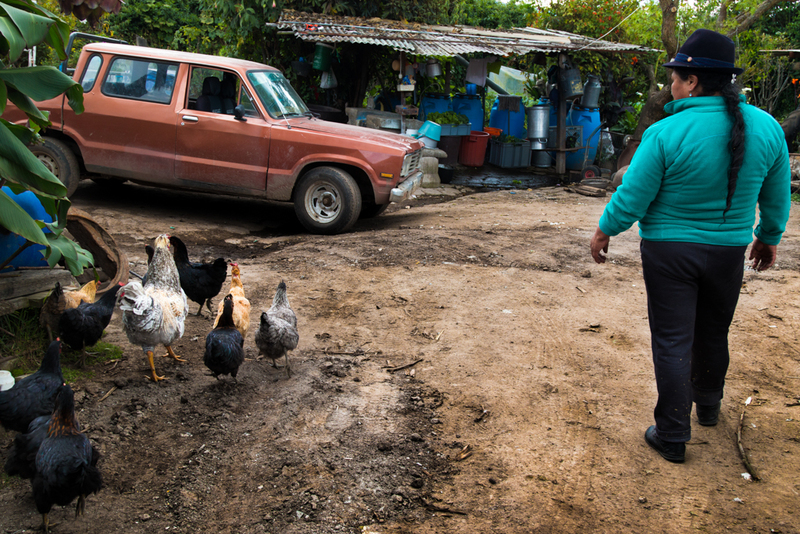 Nelly Morocho welcomes me into her home as we are greeted by her chickens. As we walk into her house, the dogs are barking and her chickens follow us up the dirt road. Nelly greets all her animals and points over to the biggest tree on the property, she explains that this tree – el floripondio blanco, a tall tree with large white flowers – is the energetic guardian of her property. People in her community have been planting these trees to guard off negative energy from those who visit since time immemorial. My heart is beyond happy to see that these traditions are kept alive, and I kneel with Nelly as she asks for permission to enter the land. While we make our way through her farm, she shows me all the plants, fruits and vegetables she cultivates, teaching me how to prepare teas that treat all sorts of illnesses from anxiety to cancer. From something so familiar as mint to other plants such as the marco (for warding off bad energies), tilo (for reducing anxiety), mashua (for cleansing the reproductive system and prostate) and aji rocoto (a hot pepper used to treat cancer), I learn more from the two hours I spent with Nelly than I would from any book or class. She is a natural-born teacher who has made it her life’s work to take care of this land, share the wisdom and use plants to care for our physical and mental health. Floripondio blanco t. Brugmansia arborea. 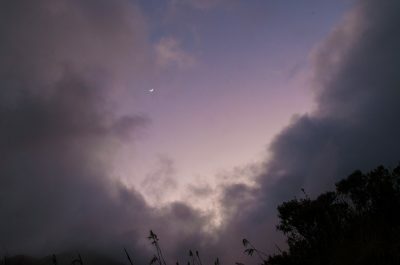 In the andean region it is known for its energetic properties. 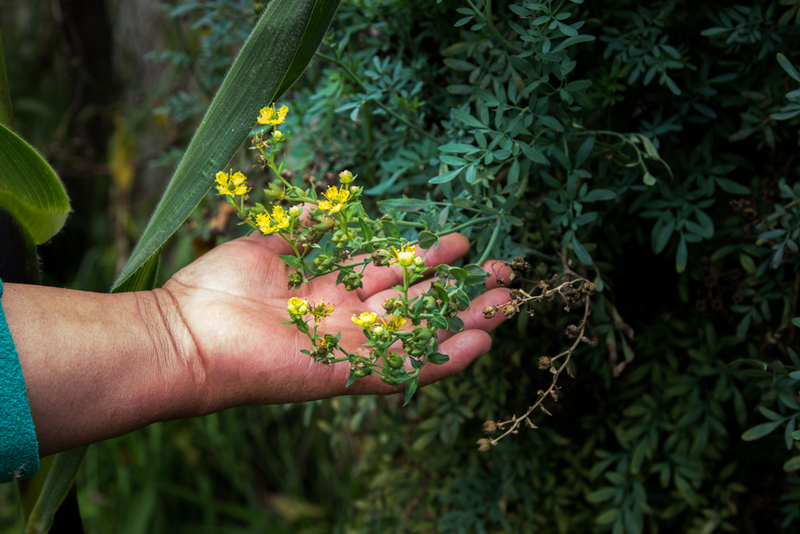 This work to reclaim ancestral foods and medicine is part of a larger movement amongst indigenous women all over Latin America who are being empowered to live lifestyles that instill pride in indigenous medicine, food and traditions. 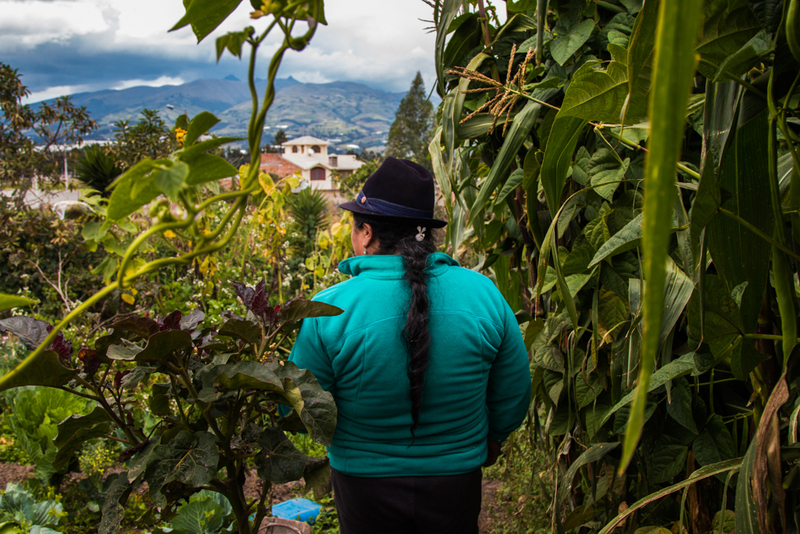 In Ecuador, every year various women’s organizations gather all over the country to trade ancestral seeds, organic produce, information and provide training on new production methods. Nelly Morocho shows me the paico a plant used to heighten attention spans and increase productivity. One of the things that stands out about the work being done in the Kayambi communities is the idea of reciprocity and communal learning. In addition to training women in pre-production, food handling, packaging, and customer service, many of these organizations also discuss many different aspects of social justice. 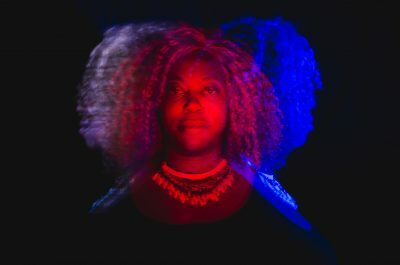 Organizers such as Nelly, view a strong connection between social issues, food sovereignty and cultural survival. 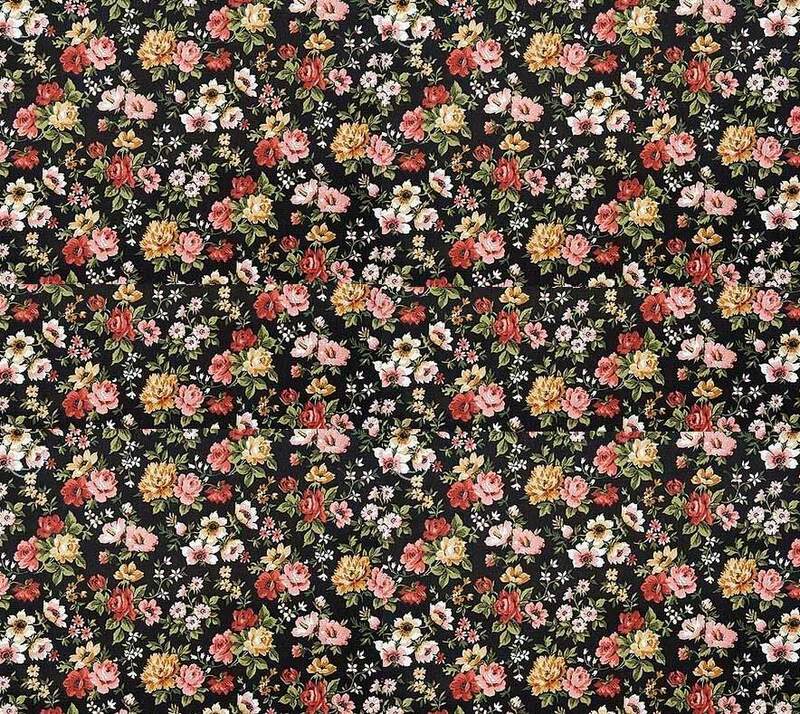 My search for plants to help with depression and anxiety frame my conversation with Nelly as she begins to share different plants to help women heal themselves with things they can grow at home. 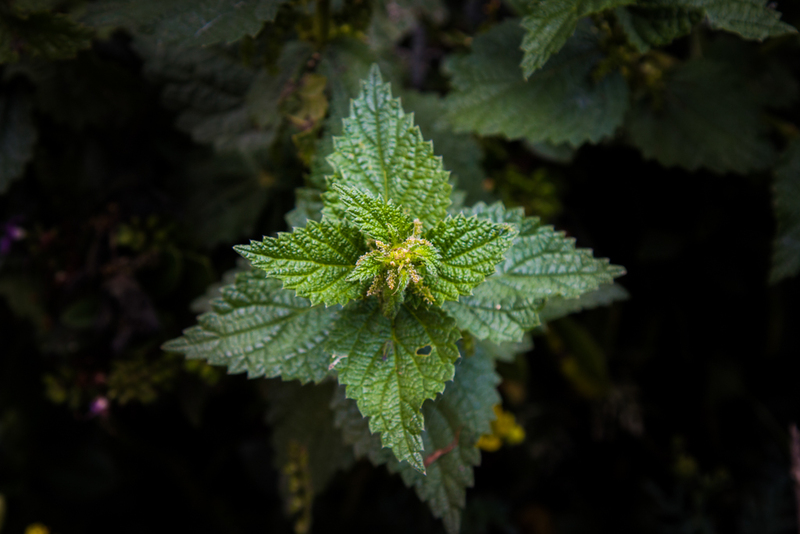 She explains that one of the most common things people ask her about are menstrual cramps, for which she tells me people can use fig leaves boiled into a tea, or boiled ruda flowers. 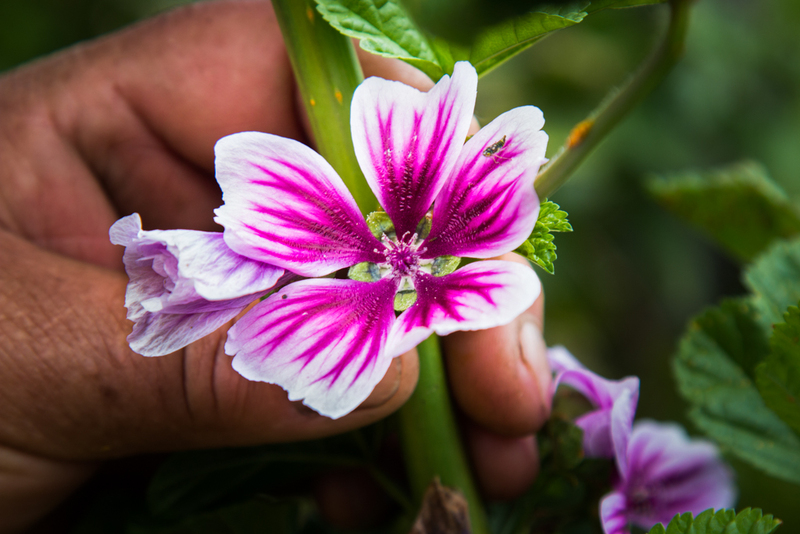 While we walk in the farm she grabs a colorful purple plant –Amaranto– and gives it to me asking me to boil it with tamarind to make a tea when I am having an anxiety attack. I grab the plants and continue our conversation about family. At this point Nelly had began telling me about her grandmother and how she had always nurtured her curiosity by taking her on healing appointments in her community. She smiled as she remembered the woman that taught her all she knows and asked me about my grandmother who has been living with me for the past year. I told her about my gratitude for my grandmother and expressed my worry for the pain she always feels in her bones. 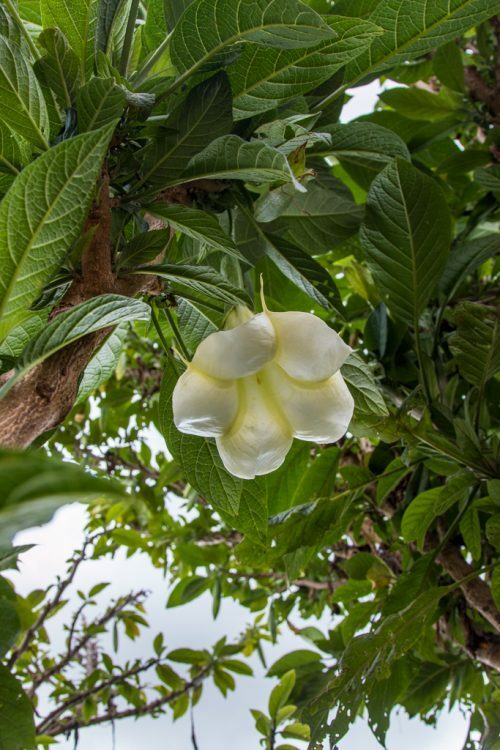 Nelly quickly walked over to a green bush with pretty purple flowers and explained that I should boil the wagra ortiga leaf into a tea and the flor filanjilla when fevers are involved. flor filanjilla. Used to treat fevers and pain. Wagra ortiga. Used for spiritual cleansings and in a tea for bone pain. Ruda. Used for energetic cleansings and to treat menstrual cramps. As my time with Nelly concludes, she shows me the wealth of seeds she’s been able to grow over the years and has invited me back to her house to learn about planting them so that I may also have my own garden with medicinal plants. This sharing is part of the work that Nelly and her organization do. 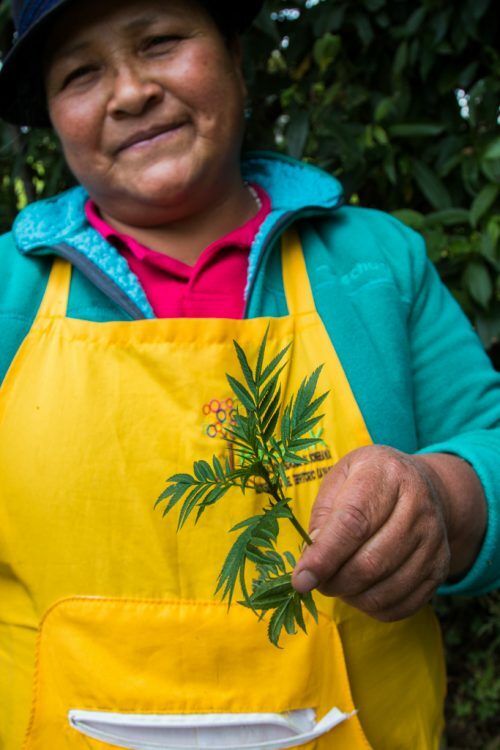 For Nelly it is her life’s work to learn and pass on the wisdom left by her ancestors, and in the process, teach other women to be self-sufficient and empower them into caring for their families without pharmaceuticals. Nelly Morocho proudly showing me her aji plants.